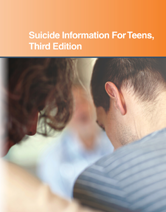 Four updated titles were added to the Student Core Collection in June 2017. There are now 414 titles in the Student Core collection. If you subscribe to this package, see a full title list in your Admin account (log-in required), or check it out on our corporate site. 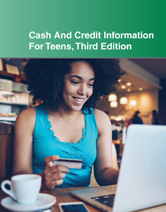 Cash and Credit Information For Teens, Third Edition, provides practical information for teens about receiving income, paying taxes, and budgeting. It discusses how to choose appropriate banking services, manage a checking account, use credit and debit cards, make informed shopping decisions, borrow money for education or major purchases, and avoid financial pitfalls. 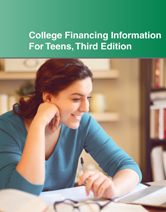 College Financing Information for Teens, Third Edition, explains college costs and describes practical steps middle and high school students can take to begin preparing themselves for future challenges. It discusses choosing among different types of colleges and vocational schools, explains what's involved in applying for and receiving federal financial aid, and describes other sources of aid. 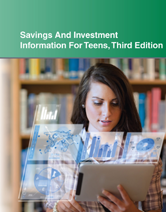 Savings and Investment Information for Teens, Third Edition, provides information that can help young adults learn how to save money and invest for the future. It explains how the economy works and how factors such as interest rates and inflation impact personal wealth. It offers practical suggestions for developing a financial plan and describes the risks and rewards associated with bank accounts, stocks, bonds, and mutual funds.